Have you been through a lot of first round interviews, but can’t seem to get to the next, more in-depth, interview round? Or are you consistently making it to the final interview, but never receive an offer? Maybe you recently had an interview that went poorly for a job you really wanted. You might be aware that something is happening in the interview process that you aren’t attending to, but it can be difficult to find and act on professional feedback. Concerns about your interview skills may be arising now that you’re actively in the middle of a job search and the interviews are going awry. Alternately, you may have been out of the work force or held the same position for an extended period of time and worry that you lack the confidence needed to nail an interview and achieve the ideal job offer. 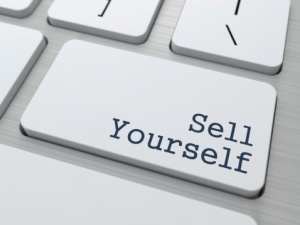 You know the interview is an opportunity to articulate who you are and what you can offer. The good news is that with professional support, guidance and the time to review, improve and learn new interview skills, you can start receiving job offers. Studies show that the most effective ways to choose an applicant for a position is to review work samples and obtain an evaluation of cognitive ability. But, not surprisingly, companies and organizations continue to use interviews as one of the most important methodologies when making hiring decisions. Because of the important role staff morale and team rapport play within an organization, hiring managers and recruiters want to meet promising applicants and assess their fit within the organization. And, as a result, your success in the interview process is as much a matter of building rapport as it is highlighting your professional skills, experiences and credentials. Whether you like it or not, hiring decisions are influenced by your ability to make the interviewer want to see you again. So how can you close the deal in the first interview, so to speak, and leave the company wanting to hear more from you? Interviewing requires a variety of skills many of us were never taught, from interpersonal skills to quickly formulating articulate responses to presentation style. Dynamic Transitions in NYC can teach you these interview skills and help you feel more confident and comfortable in the interview process, both now and in the future. Many of us know someone who always seems to do well in interviews without trying particularly hard. And, when we’re struggling with the process, it is easy to fall back on this belief that success – or failure – in an interview is related to natural, innate abilities rather than preparation. At Dynamic Transitions in NYC, we understand that a variety of factors play a role in determining the outcome of an interview. 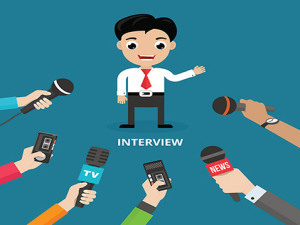 We can help you learn the interview skills you need to articulately convey your responses to questions as well as to form a genuine connection with the interviewers. In interview skills coaching sessions, we’ll address a number of common and profession-specific challenges you may face while preparing for, and going through your next interview. Not only do our career experts teach you how to develop effective responses to frequently asked questions, but we can also help you implement industry-specific content into your interviews and improve your presentation. Building rapport with your interviewer is one of the surest ways to remain a strong candidate, but it can be difficult receiving honest, constructive feedback from friends or family. Meeting with an experienced, neutral professional can help you build your soft (interpersonal) skills and understand how you interact with others in an interview. We often utilize homework assignments and mock interviews to help you practice and become comfortable with the various interview skills you are developing. We then review your responses and engagement level and discuss upcoming interviews to determine if there are any additional strategies we need to develop. The proven approaches we use can be applied to a wide variety of interview styles and settings. From panel and stress interviews to phone or Skype, from recruiters to hiring managers, we can help you develop the specific interview skills you need to stay comfortable and confident throughout the process. In addition, you can learn to evaluate the organization for yourself to see if it’s a good fit for you. The interview should be a two-way, dynamic process in which you are evaluating the organization as much as your interviewer is evaluating you. The research you have done, the questions you bring and your engagement in the interview are all indicators of how much you want the position. In some cases, your interview challenges may be tied to significant social anxiety. In these situations, we use our clinical skills as psychologists to help you understand and address issues that are impacting your interview skills. We are supportive and compassionate and help you build on your strengths in a safe, supportive environment. At Dynamic Transitions in New York City, we are licensed counseling psychologists with an educational and professional background in skill building and career coaching. For 15 years, we have helped countless professionals review and improve their interview skills and go on to find greater success. With a little guidance, you can recognize what is holding you back and develop strategies to feel more confident and capable in your interviews. I’m never going to get better at interviews. I just don’t have the natural skill. While some individuals are naturally personable or charismatic, that doesn’t mean that interpersonal skills aren’t teachable. Everyone can benefit from having his or her interview skills reviewed. One of our expert coaches can help to make sure that the things you are saying are illustrative and cohesive and that you can present yourself in the best light. When you practice interpersonal skills, you can develop greater confidence in your own ability to make a genuine connection and build rapport with an interviewer. It takes a long time to get to know me. People just don’t like me in interviews. If you have struggled in your career, or in interviews specifically, it can be easy to feel like you’re not capable or competent in that setting. Interviews may never be your number one strength, but it is possible to come across more positively and to feel more confident and qualified throughout the process. I was given interview feedback in the past and it didn’t help. There is a distinction between receiving feedback and practicing with concrete, proven techniques. At Dynamic Transitions in NYC, we use a variety of approaches and settings to structure a process around your specific interview goals and needs. Much like muscle memory, you can practice interview skills until they become natural, allowing you to respond to unanticipated challenges. 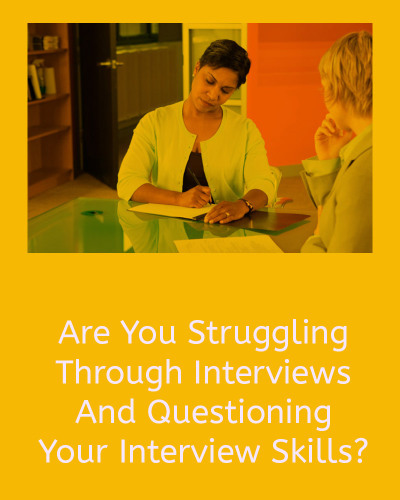 Not quite sure if you need help strengthening your interview skills? to access helpful articles and additional information on how to conduct a job search more confidently and with greater success.